The Tatra 87 was quite an eye-catcher. It had a panoromic windscreen and third headlight. 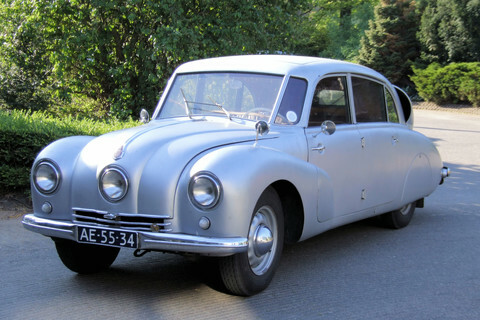 The Tatra 87 was a big car at 4,740 mm (186 in). All but first gear were synchronised in the four-speed gearbox. The louvres in the engine compartment cover gave some restricted rear visibility for the driver. The final model had a rear fin.